Boosted by yesterday’s return of the prodigal sun, my wife and I embarked on the short journey to Roundhay Park for the afternoon. Temperatures were still low but, wrapped up against the chilling later winter wind, we had a pleasant sojourn with our long lost friend. Heart warmed to witness the solar rays again after its seemingly endless sabbatical, I felt uplifted as we meandered amongst the 700 acres of parkland. The recuperative qualities of a saunter around one of the biggest parks in Europe seemingly knowing no bounds. With the glory and grace of Apollo!…. 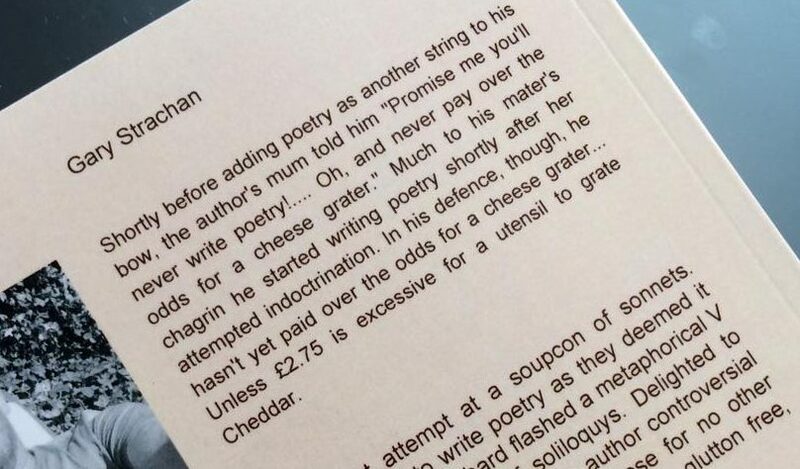 If you require further pretentious insights into the meaning of popular prose, my book Gary Strachan’s Made Up Poem Meanings is out in April. It will be available in all good book stores….. and possibly a few crappy ones as well! I wholehearted subscribe to Keats’ advocation of the regenerative qualities of solar rays, which he raises in his poem. There is an increase in my energy, mood and the use of Ambre Solaire sun cream when that great orange ball in the sky makes an appearance. I’ve even been know to smile now and again when the sun has his hat on……… For the sceptics, I have a photograph somewhere to prove it! As weather forecasters predict temperatures of reaching up to 10 degree Celsius warmer next week, hopefully this will be the start of some sustained sunshine. Meteorologists may yet be proved to be wide of the mark, but they won’t be as wrong as Karen’s mums old wives tale weather predictions. Yesterday, she provided Karen with a very specific forecast of a rain shower for 17 minutes from 4.47 pm this Thursday afternoon. This epiphany based on the fact her onion rack is now facing Mecca bingo hall…… However, I suspect the rack’s new situ is more the result of her husband moving it when checking a boiler fault, as opposed to any onion rack sageness. Anyway, back to my wife and my Valentine’s Day saunter around the Leeds parkland that rhymes with ground day. We spent a pleasant three hours amongst the newly budding deciduous trees, evergreen bushes, acres of grass and pathways. Our outing also included an agreeable lunch of a steak sandwich and cuppa beside the open wood fire in the The Roundhay Fox pub. And Peroni pipes cease their flow. On that note, I’ll bring this narrative to a conclusion as I have to nip to Crossgates shopping centre. I need to purchase a brolly for when it rains for 17 minutes on Thursday afternoon.